Note: The Touchfire keyboard featured in this promotion is only compatible with iPads 1, 2, 3, & 4. 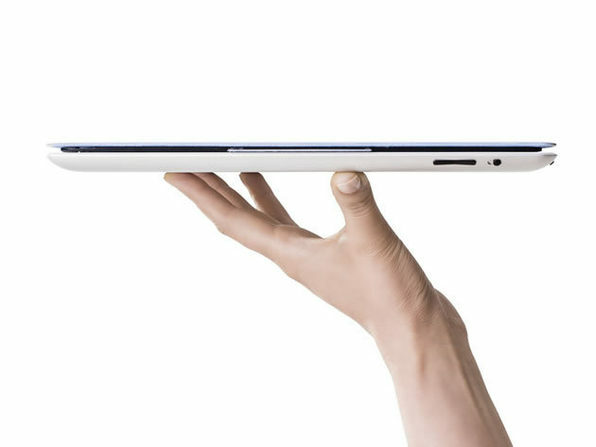 This product IS NOT compatible with the iPad Air or Mini. This promotion is for US customers only (all 50 states). 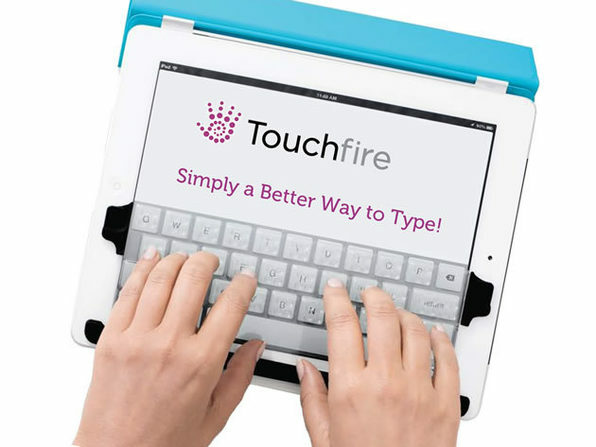 The Touchfire keyboard has all the functionality of a standard keyboard, but in a paper thin, transparent silicone that fits directly on your screen. You can still view the entire screen right through the keyboard with the ability to touch and swipe as if nothing was there! Don't believe it? Check out the video above or Google the reviews. There is no question this keyboard will turn your iPad into a laptop killer! It's super minimalistic and it's extremely easy to use. Did we forget to mention...it's truly a revolutionary product. So revolutionary that Entrepreneur Magazine voted Touchfire one of the 100 most brilliant companies of 2013. If you own an iPad this product won't let you down. Works With All Standard iPads Attaches to the iPad 2/3/4 using the magnets built into those tablets. It’s non-slip bottom keeps it in place on an iPad 1. Type with out Looking Textured keys allow you to type without looking so you can focus on your writing and not on the keys. Freely rest your fingers on the keys for a realistic typing experience with out accidentally entering characters. Rugged & Easy to Clean The Touchfire keyboard is made of pure, high-performance silicone rubber. It handles the rigors of travel with ease. To clean it, simply run it under tap water and towel dry. The creators Steve Isaac & Brad Melmon jump started the process on Kickstarter and with a goal of $10,000 they ended up blowing it out of the water with raising more than $200,000! Since their campaign ended in 2011 they've been in full force delivering one of the most revolutionary iPad products to consumers around the globe. Comes with a pair of cover magnets, which help secure it magnetically to your iPad’s cover when you aren’t using it. This makes it easy to keep it with you all the time. Stow the Touchfire keyboard away in an included storage case or simply roll it up in your case. It's compatible with the iPad 1, 2, 3, & 4. The Touchfire keyboard was specifically designed with Apple’s Smart Cover and Smart Case in mind, and the black Apple case for iPad 1. But it will also work with any case that leaves enough room on the surface of the iPad for the Touchfire keyboard. It will also work with cases that cover the iPad surface but are thin enough to allow Touchfire’s magnets to hold. FREE SHIPPING available to the United States Canada, Germany*, France*, UK, Italy, Spain*, Netherlands, Belgium, Switzerland, Australia, South Africa, Japan, South Korea, Singapore. Domestic shipping time will be 4-5 days (United States). International shipping time will be 3-4 weeks (countries outside of the US). 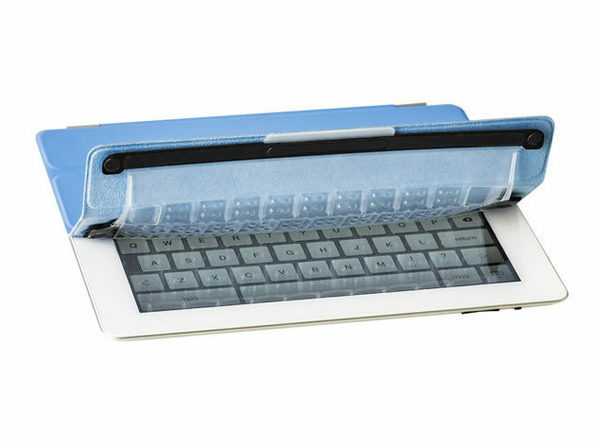 Will the Touchfire Keyboard Work With My iPad Case? The Touchfire keyboard was specifically designed with Apple’s Smart Cover and Smart Case in mind, and the black Apple case for iPad 1. But it will also work with any case that leaves enough room on the surface of the iPad for the Touchfire keyboard. It will also work with cases that cover the iPad surface but are thin enough to allow Touchfire’s magnets to hold. What International keyboards are supported? Canadian French, Catalan, Cherokee, Chinese Simple and Traditional Pinyin, Chinese Traditional Cangjie, Croatian, Czech, Dutch, English, Estonian, German (QWERTY), Hawaiian, Hungarian, Icelandic, Indonesian, Italian, Japanese Romaji, Korean, Latvian, Lithuanian, Malay, Polish, Portuguese, Romanian, Swiss French, Serbian Latin, Slovak, Tibetan, Turkish and Vietnamese. Note that the Touchfire keyboard works with the Swiss French and Canadian French keyboards, but not the French AZERTY keyboard.